The Cuisinart CTG-00-SAS salad spinner allows to wash and dry salad greens, fruits and vegetables in the spinner without removing the lid. It comes with anopening on top to add and drain water and has an easy-to-turn spin knob. 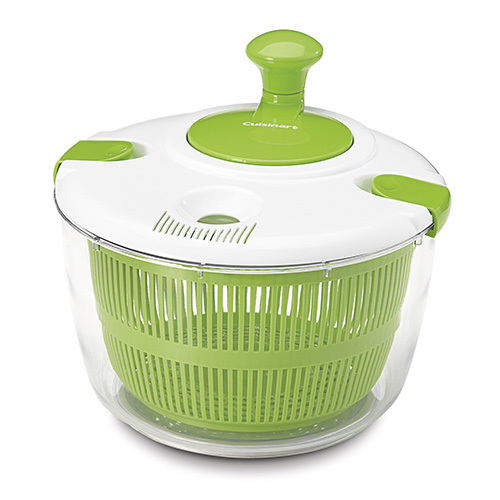 The Salad Spinner has many exciting features for users of all types. See the Salad Spinner gallery images above for more product views. The Salad Spinner is sold as a Brand New Unopened Item.